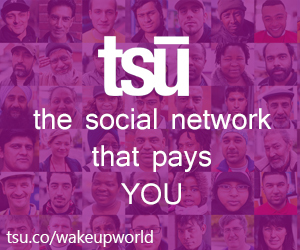 TSU new social network is a new site to reward users monetarily for sharing content. Will this site actually pay users? Only time will tell. 3. You can find friends and search by hash tags etc. tsū (‘Sue’) is a free social network like facebook twitter Gplus . 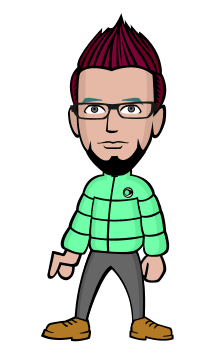 tsū (‘Sue’) is a free social networkmedia payment platform. With tsū, users can monetize all social content in an exponential way due to the nature of how established social networks work and also in perpetuity since users forever tie themselves to other users vs. tying themselves to a platform. For the first time every content creator can attach their content to their social network and benefit from royalties in perpetuity. The platform has removed from the onboarding process, allowing users to invite others which ties users to each other and makes the arithmetic work. 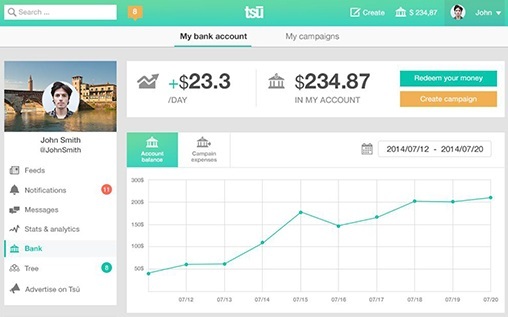 tsū is a social network with an embedded payment platform. tsū aggregates advertising, sponsorship and partnership dollars, all from third parties (like other social platforms do) for the benefit of its social users. 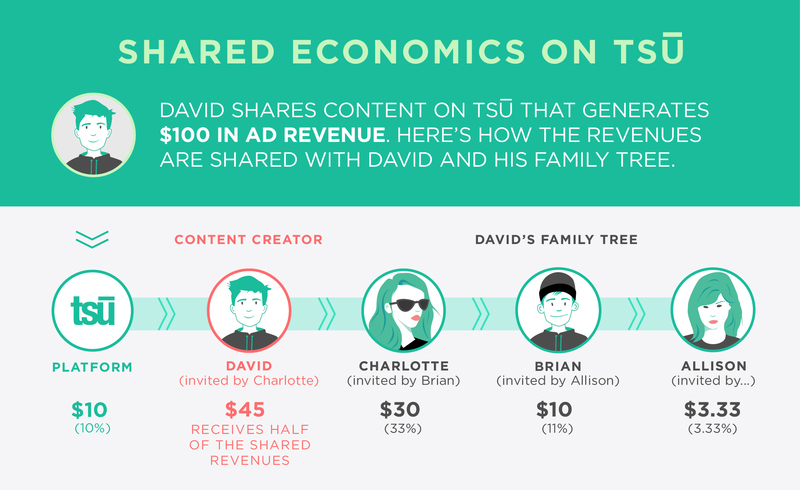 Since users create almost all of the content and interactions (just as they do on other platforms), tsū shares 100% of the economicsas royalties for their content creation and network adoption. The algorithm tsū abides by is simple, which creates economics for users based on their content and size of network – see Algorithm Basics FAQs. Tsū’s algorithm automatically tracks, measures, and distributes revenue to the appropriate user and their family tree. At a high level, 90% of revenues are distributed to users. To maintain the platform, tsū receives 10%.